Until recently, the largest single concentration of Mandaeans, a non-Arabic people whose lineage may go back to ancient Babylon, was in and around Baghdad. This group faced varying degrees of isolation and harassment under the regime of Saddam Hussein, and many left for Syria and Jordan (and, to a lesser extent, Sweden, Australia and the U.S.). The U.S.-led invasion of Iraq in 2003 served only to make their situation much worse. As law and order broke down, the Mandaeans (along with other minority groups such as Assyrians and Armenians) suffered at the hands of both Shiite and Sunni groups, reporting murders, rapes, and kidnappings — the last an especially common form of violation because Mandaeans are renowned goldsmiths. In the face of these assaults — against which Mandaeans were powerless, being forbidden by their faith from carrying weapons — all but roughly 5,000 of the 60,000 Mandaeans living in Iraq fled. This grim story is all the sadder because of the extraordinary nature of the Mandaeans and the Mandaic (or, strictly speaking, neo-Mandaic, given that classical Mandaic died out with the civilizations of the Fertile Crescent) script. 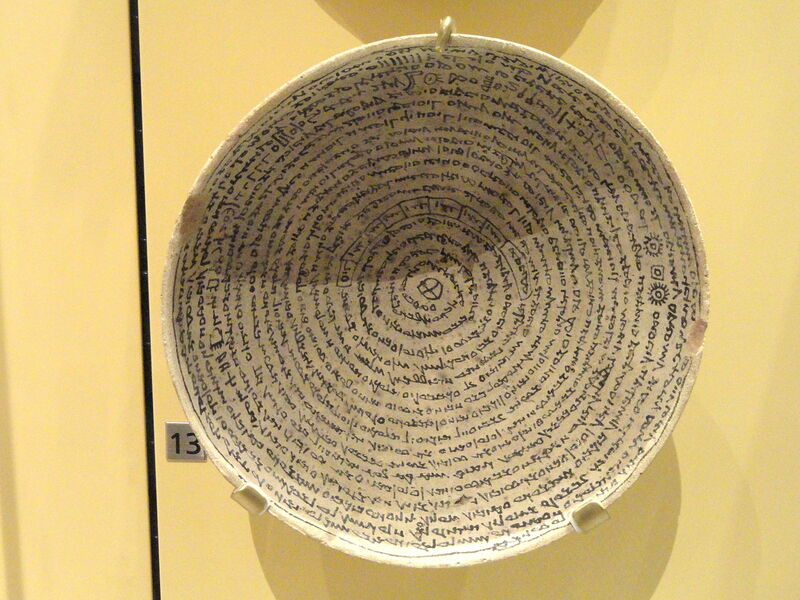 Given that the earliest Mandaean manuscripts are perhaps 1,800 years old, that’s utterly amazing. In English, handwritten manuscripts even 200 years old are noticeably different from today’s writing; anything 400 years old (say, from Shakespeare’s time) is very hard to read. 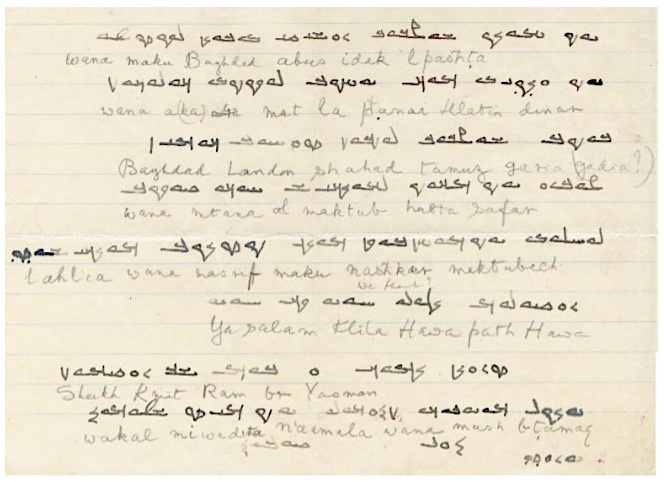 To illustrate how Mandaeans write their own script, Häberl emailed me a scan of a letter written by a Mandaean to Lady Drower — that is, Ethel Stefana Stevens, later Lady Drower, one of those inexhaustible, fearless British intellectual women explorers, who became the first European expert on the Mandaeans. Starting in the 1930s, she collected folk tales, studied their rituals and customs and created a Mandaic dictionary, but perhaps above all was interested in their gnosis — that is, their mystical religious beliefs. One thing she understood perfectly, it seems, is the importance of the written word to the Mandaeans, and how that importance is so deep as to be mystical. 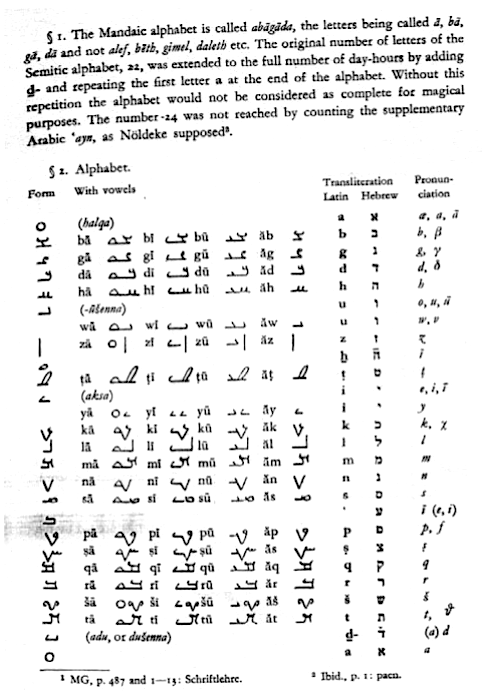 In Mandaic, the individual letters have mystical meanings. Moreover, the alphabet consists of the 22 separate functional letters of the Aramaic alphabet—but then adds on another two letters to make the total up to 24, the number of hours from sunset to sunset and therefore a mystical number. One of the added letters is the equivalent of an ampersand; the final letter is simply the first letter, repeated, to give the impression that the alphabet is not linear and finite but, like the day, repeats every 24th time. A mandala of an alphabet. The point, then, is not that Mandaic writing is a vehicle for transmitting information that can lead to enlightenment — it’s that each word, each letter, is in itself charged and radiant with enlightenment. "A word from words." 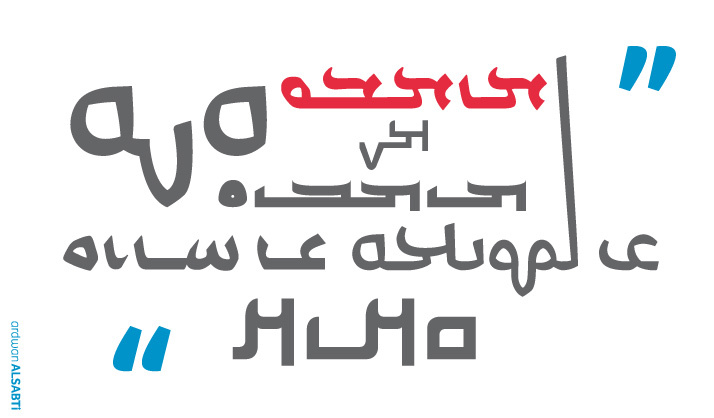 Graphic design by Ardwan Alsabti.